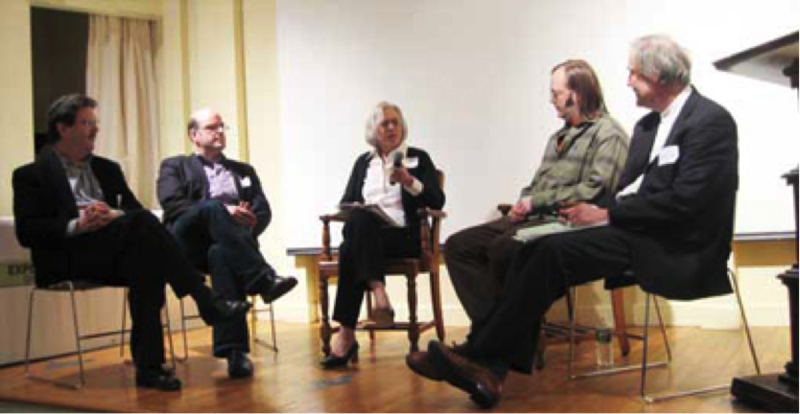 Launched in 2007, the Experimental Cuisine Collective (ECC) has proven itself as an invaluable resource for those interested in learning about the scientific principles behind food. Founded by Drs. Kent Kirshenbaum and Amy Bentley of New York University in collaboration with Chef Will Goldfarb of WillPowder, the ECC hosts workshops approximately five times per year, each featuring different topics and/or speakers. ECC’s current Director is Anne McBride, a PhD candidate in Food Studies at NYU and Culinary Program/Editorial Director for the Culinary Institute of America. Widely recognized for her ability in establishing connections between scientists and chefs, McBride has been instrumental in developing ECC’s programs. 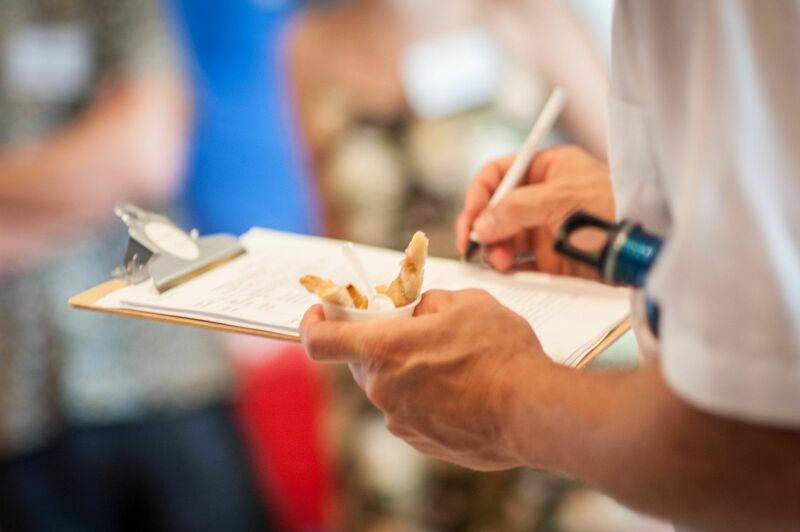 ECC’s workshops have gained nationwide acclaim, featured in media outlets such as Serious Eats, New York Observer, and even the Food Network! 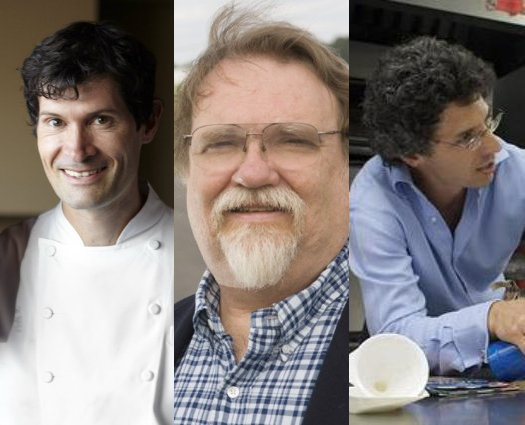 The impressive roster of past ECC speakers include renowned chefs and scientific minds such as Dan Barber, Wylie Dufresne, Rachel Dutton, and Mark Bomford. 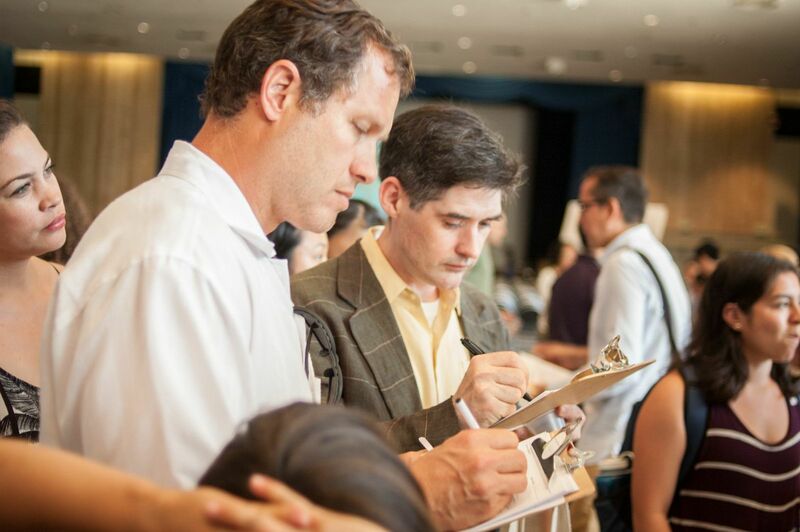 The topics of ECC workshops are also interestingly diverse, covering topics from soda politics with Marion Nestle to cooking insects with the Yale Sustainable Food Project to the New York Academy of Medicine’s Eating Through Time conference. What motivated you to start the Experimental Cuisine Collective? I was asked by the National Science Foundation to consider establishing a science outreach program as part of their emphasis on “Broader Impacts” of scientific research. 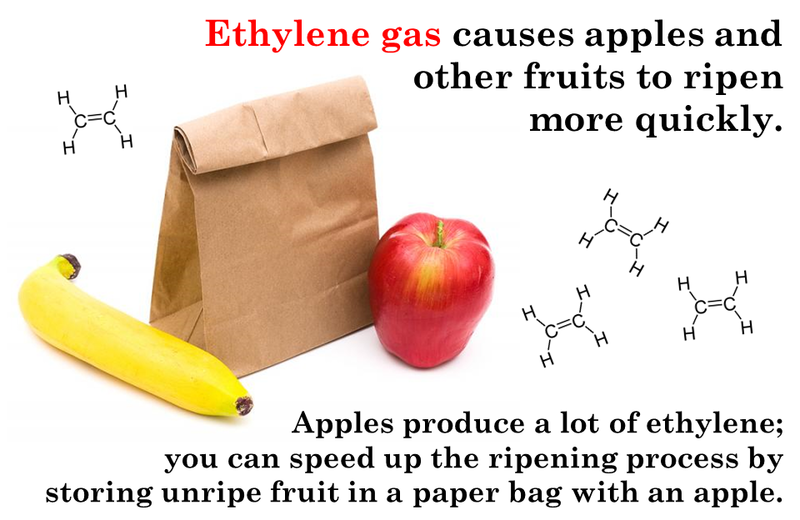 I’ve always been eager to establish connections between scientists and experts from other disciplines, so exploring the terrain between chemistry and cuisine came about very naturally. What has been one of your most memorable experiences since founding the site? The Experimental Cuisine Collective has always been more about direct engagement rather than as a web-based portal for information. One of my most memorable experiences with the ECC was preparing an alginate-based mango-juice pearl with a 4th grade student at a science fair. I asked her if we were doing science or cooking. After a moment’s careful thought she replied, “I guess it’s both!” That was a very satisfying moment. Another memorable experience was giving a lecture series about the ECC throughout New Zealand during the “International Year of Chemistry”. The director of the ECC, Anne McBride, and I got the chance to prepare what we believe were the world’s first vegan pavlovas for our audiences throughout New Zealand. We love Kiwis! 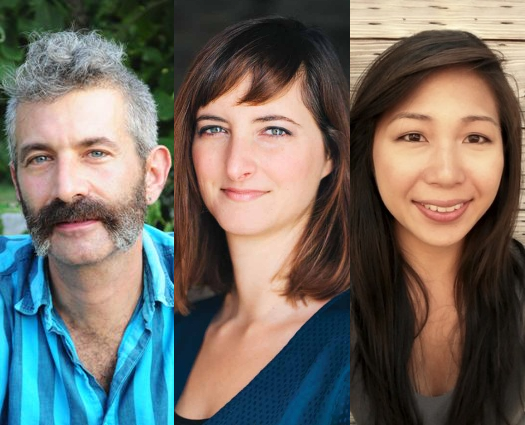 What do you hope the Experimental Cuisine Collective’s readers take away from the website? I think they are excited about the lecture programs we are offering at NYU, and the opportunity to learn what science can contribute to cooking — along with how chefs can advance scientific objectives. Plus, I hope readers are quick to appreciate that we have been offering our programs for almost 10 years, and all of it has been completely free of charge! Are there any upcoming projects you would like people to know about? Our upcoming meeting will be devoted to hydroponic farming, in partnership with the Institute of Culinary Education. We will be meeting at ICE’s indoor 540-square-foot farm in lower Manhattan, designed by Boswyck Farms, which has 3,000 plant sites and in which 22 crops are currently growing. The amazing thing about this farm is that it is literally across the street from the tallest building in the Western Hemisphere. 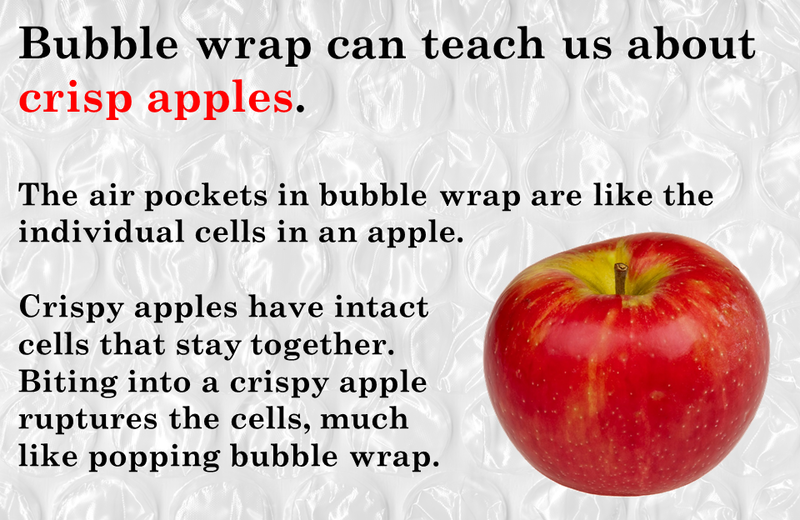 Science can help us grow in so many ways and places! About the author: Ashton Yoon received her B.S. 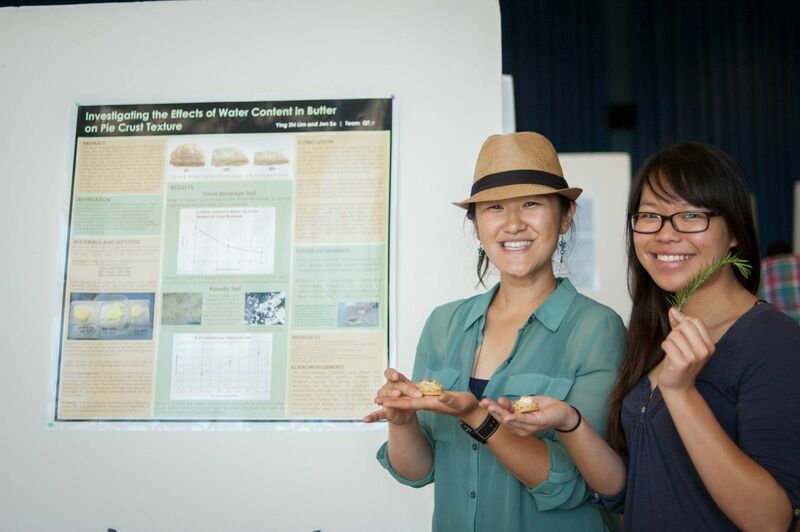 in Environmental Science at UCLA and is currently pursuing a graduate degree in food science. Her favorite pastime is experimenting in the kitchen with new recipes and cooking techniques. 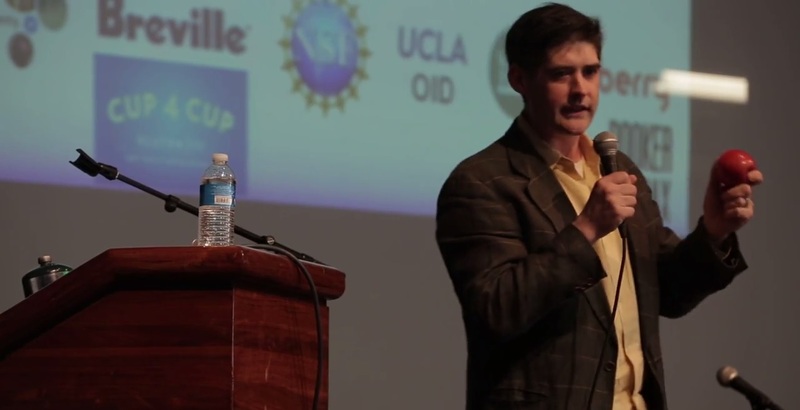 The 2016 UCLA Science & Food public lecture series is here! 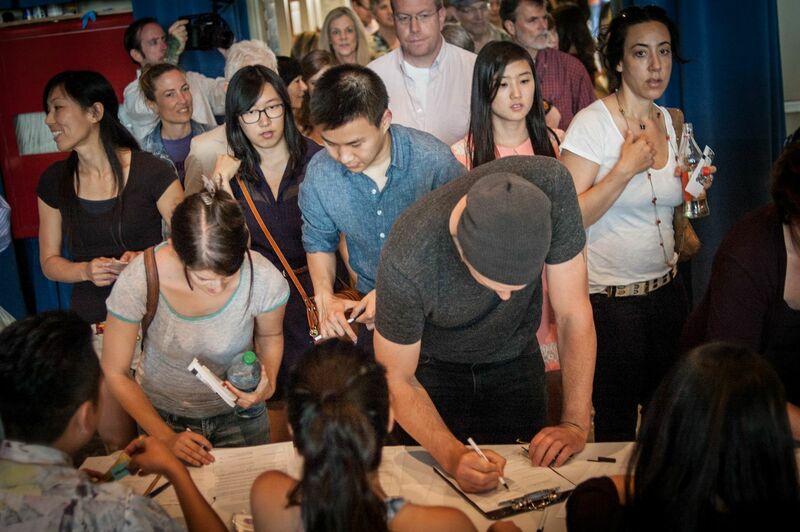 General admission tickets are available for $25 from the UCLA Central Ticket Office (CTO) . Tickets can be purchased from the UCLA CTO over the phone or in person and will not include additional fees or surcharges. The UCLA CTO is located on-campus and is open Monday–Friday, 10am –4pm. A UCLA CTO representative can be reached during these hours at 310-825-2101. Tickets can also be purchased online from Ticketmaster for $25 plus additional fees. A limited number of $5 student tickets are available to current UCLA students. These must be purchased in person at the UCLA CTO with a valid Bruin Card. 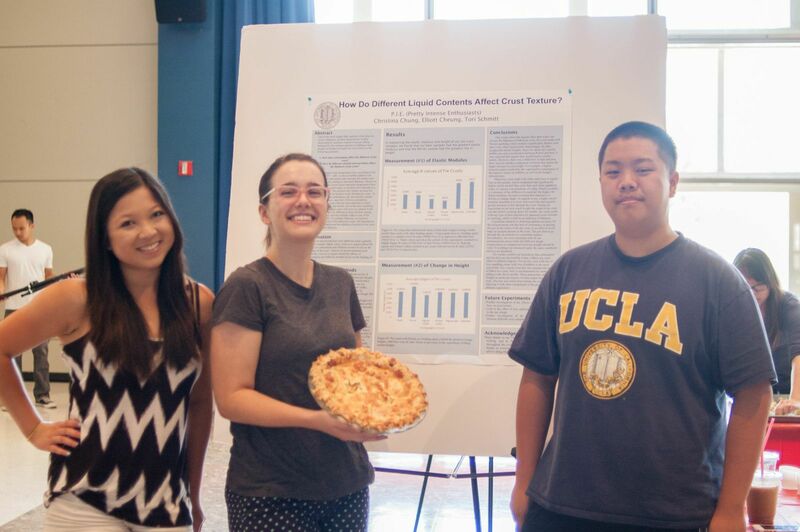 At the Science of Pie, the world’s first scientific bakeoff, the students of the Science & Food undergraduate course presented results from their final projects in poster format and their pies for taste testing. These pies had to be cooked in one hour and were the summation of all that the students had learned from their pie experiments in the class. 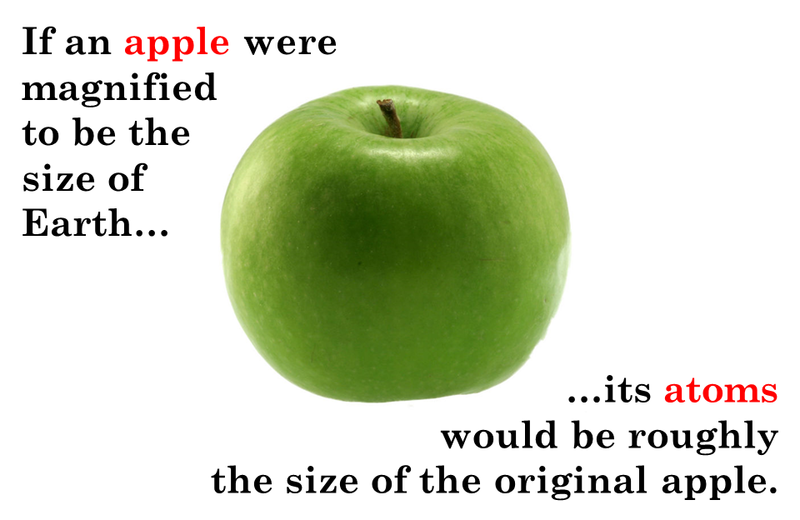 Throughout the quarter, the students were challenged to perform a scientific investigation of apple pie and vary different features of the pie such as shape, butter size, and moisture. The contest was judged by Lena Kwak (of Cup4Cup) and Dave Arnold (of Booker and Dax, the Museum of Food and Drink, and the Cooking Issues Podcast) who were our featured speakers for the 2014 Public Lecture Harnessing Creativity. 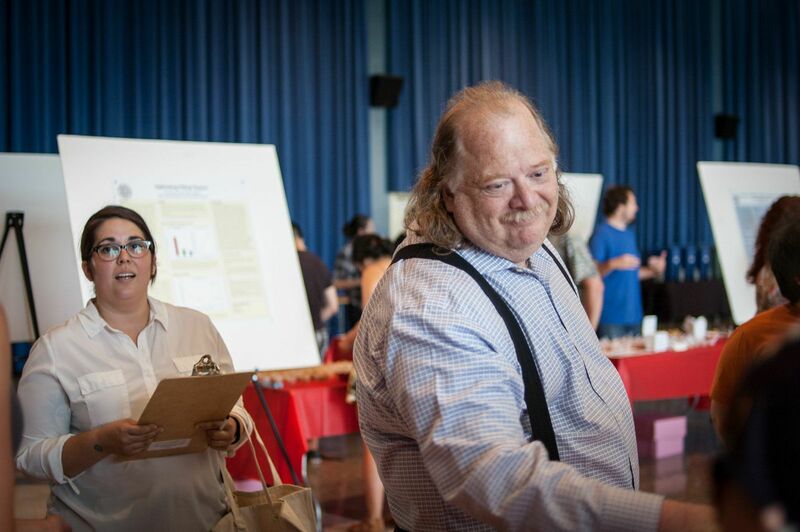 They were joined by Nicole Rucker (Pastry Chef, Gjelina Take Away), Jonathan Gold (Food Critic, LA Times), Dr. Paul Barber (Associate Professor of Ecology and Evolutionary Biology, UCLA), and Dr. Rachelle Crosbie-Watson (Associate Professor of Integrative Biology and Physiology, UCLA). The judges had wise words for the students. Lena Kwak described how she judged the pies. Check out some our featured pies from the 2014 contest. Check out our written recap here ! As part of our 2014 public lecture series, Dave Arnold (of Booker and Dax, the Museum of Food and Drink, and the Cooking Issues Podcast) discussed his latest culinary innovations and the role of creativity in food. He was joined by Chef Lena Kwak (of Cup4Cup) who shared her process of invention, research, and discovery in the kitchen. Check out the highlights or watch the full lecture below. Dave Arnold gives the audience gymnemic acid to block their sweet taste receptors and then challenges them to try sweet treats like sugar, honey, strawberries and chocolate. 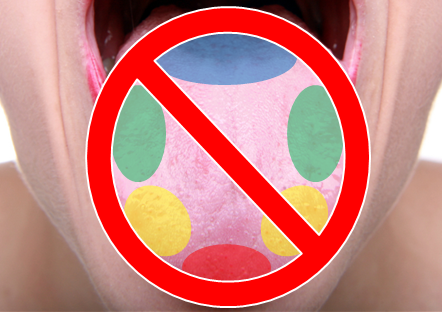 He explains that erasing sweetness enables the taster to examine how other factors like texture and acidity influences the experience of sweet foods. 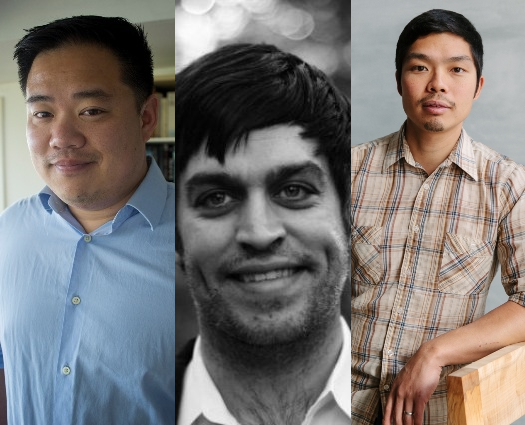 As part of our 2014 public lecture series, we explored the concept of taste from the perspectives of a scientist, a chef, and a food writer. 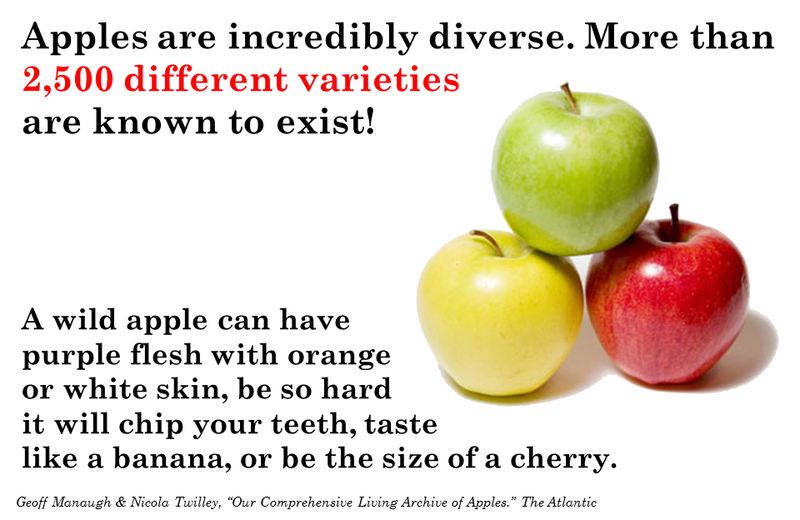 Dr. Dana Small described how our brains respond to flavors. 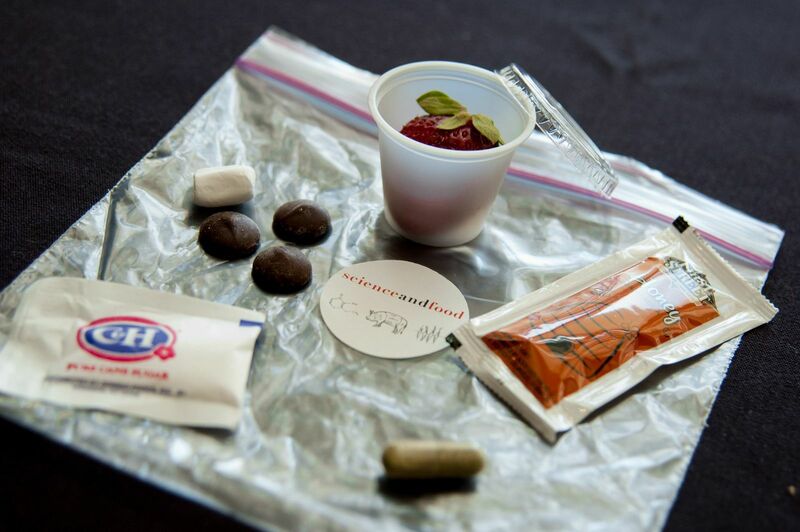 Chef Wylie Dufresne of Wd~50 presented his creative approach to generating surprising food flavors and textures. 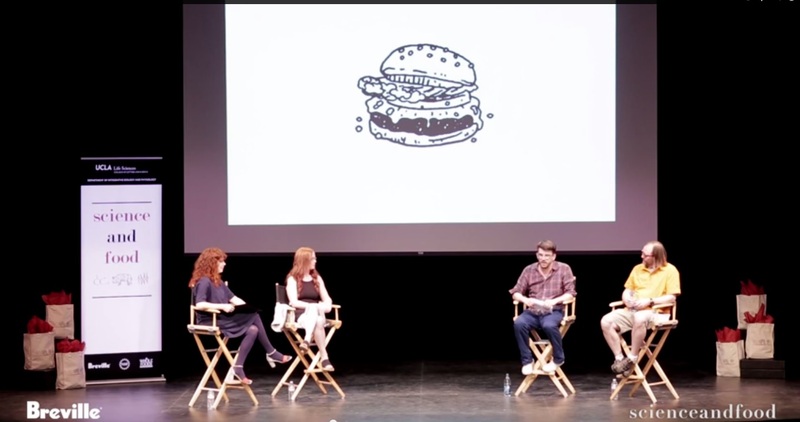 Peter Meehan shared his experiences with food and taste and how they have shaped his writing, both as a cookbook author and former writer for The New York Times. 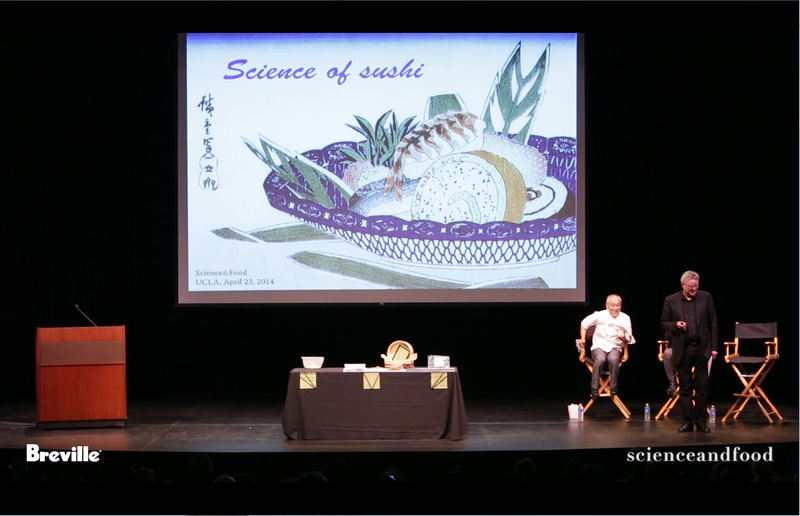 To kick off our 2014 public lecture series, Dr. Ole Mouritsen joined Chef Morihiro Onodera to satisfy our craving for sushi-related science. 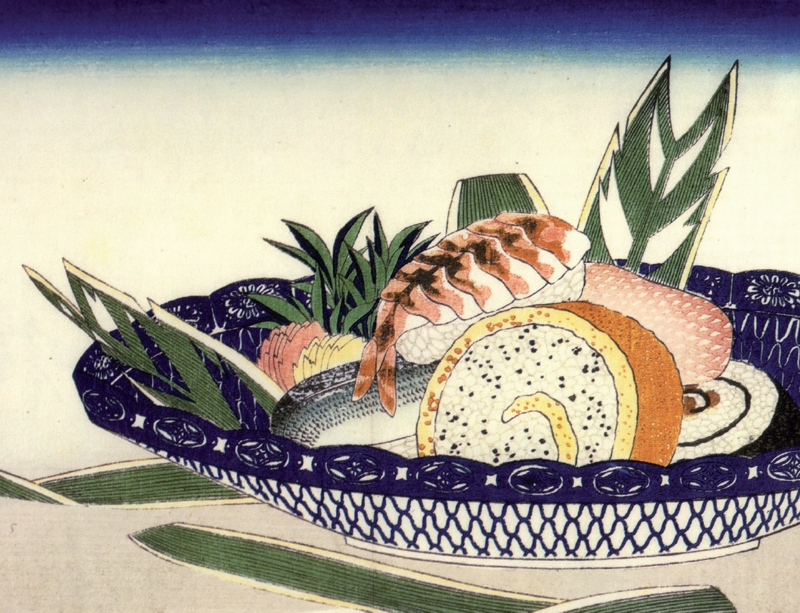 The duo explained everything from sushi’s early history to the starchy science of sushi rice. Watch the entire lecture or check out some of the shorter highlights below. As the doors swung open, guests eagerly awaiting the final Science & Food lecture series were transported to a place nothing short of a Pie-Palooza. Twenty student teams stood confidently next to their baked confection and explained to the judges how they employed the scientific method to creatively reimagine the art of baking the perfect pie. 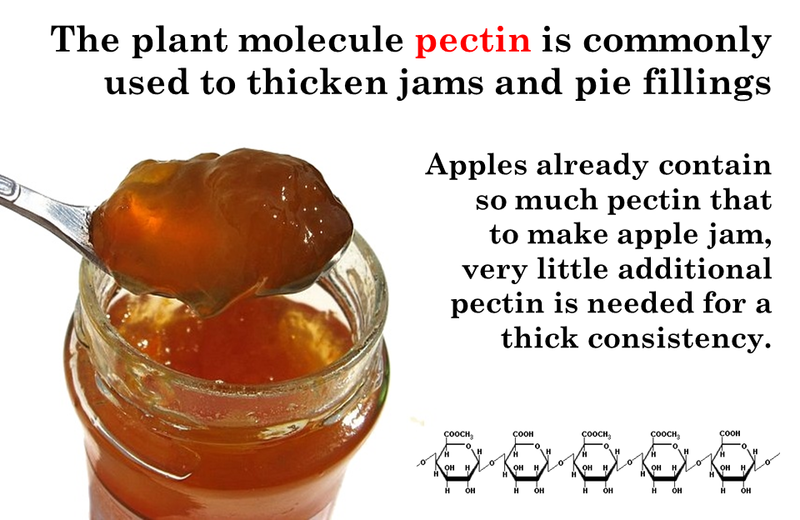 Some developed aqueous solutions to modify the flakiness of their pie crusts while others sought to improve filling texture by altering pH levels and used techniques such as microscopy to measure their results. Whatever their approach, the students proved that a little bit of science goes a long way in mastering the craft of pie baking. 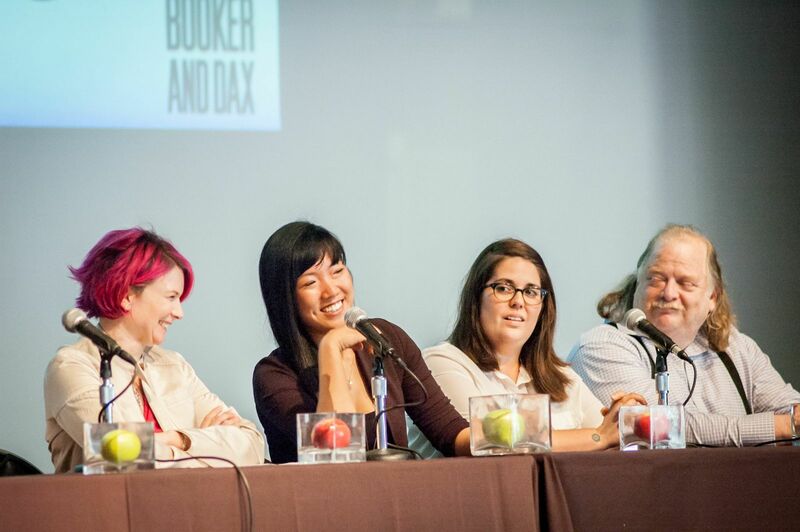 After the large-scale pie tasting, guest speakers, Lena Kwak and Dave Arnold, took the stage to share their insight on innovation in the culinary laboratory and emphasized how unforeseen mishaps often lead to novel discoveries. Co-Founder and President of Cup4Cup, Kwak discussed how her breakthrough formulation of gluten-free flour was a by-product of her fearlessness to try new techniques and make mistakes in the kitchen. 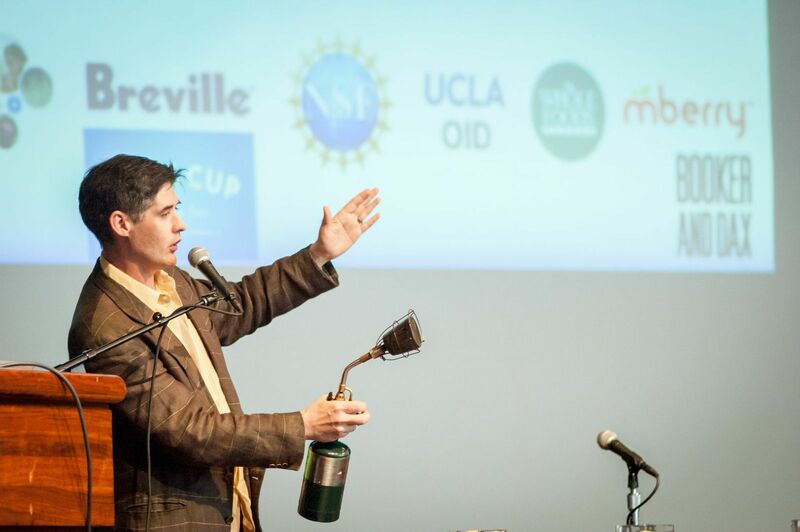 Founder of the Museum of Food and Drink (MOFAD) and Owner of Booker & Dax, Arnold described how curiosity and relentless dedication to experimentation led to the development of many of his out-of-the-box culinary gadgets. Case in point: the Searzall, one of his latest inventions designed for hand-held blowtorches to evenly apply high temperature heat to sear foods while avoiding the remnants of unpleasant aromatics. He also invoked the audience to participate in an experiment where he challenged everyone to digest gymnemic acid, which dulls our sensory perception of sweetness. This exercise was designed to help guests unlock and appreciate the other factors (such as texture) that contribute to our understanding of taste. Finally, the panel of special guest judges shared with the audience their favorite pies from the student entries and awarded the students with prizes for the “Most Creative Pie”, “Most Qualified to Enter a Real Pie Contest”, “Best Scientific Pie”, “The People’s Choice Pie”, and “Best Overall Pie”. 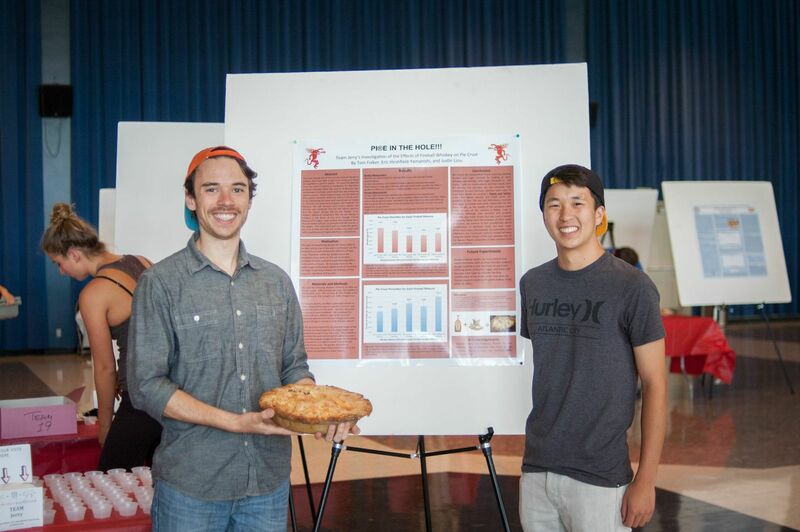 Folker and Hirshfield-Yamanishi explored the effect alcohol, specifically Fireball whiskey, had on the overall flakiness of their pie crust and produced a pie the judges thought was worthy of a professional pie contest. These creative young women, Lim and So, took the competition to the next level by presenting a deconstructed, rosemary-infused apple pie topped with a “reverse spherified” lemon zest cream cheese sauce to a create a harmoniously balanced and flavorful treat. Chung, Schmitt, and Cheung added different combinations of liquids to generate their pie crust and recorded the amount of force required to alter the elasticity of the baked crust. 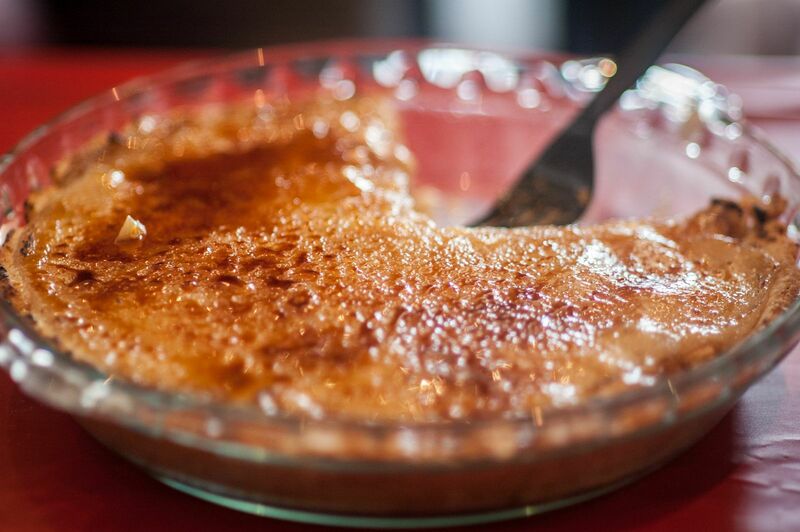 Ultimately, the incorporation of beer into their pie crust recipe significantly altered texture as measured and quantified by the elastic modulus. 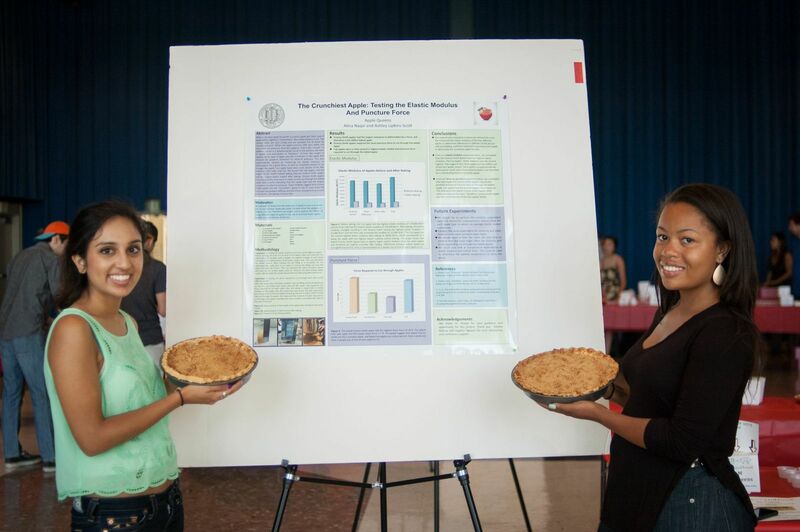 Naqvi and Upkins-Scott of team Apple Queens took different varieties of apples, including Granny Smith, Red Delicious, Pink Lady, and Fiji, to produce a crumble top pie that garnered praise from both the audience and the judges. 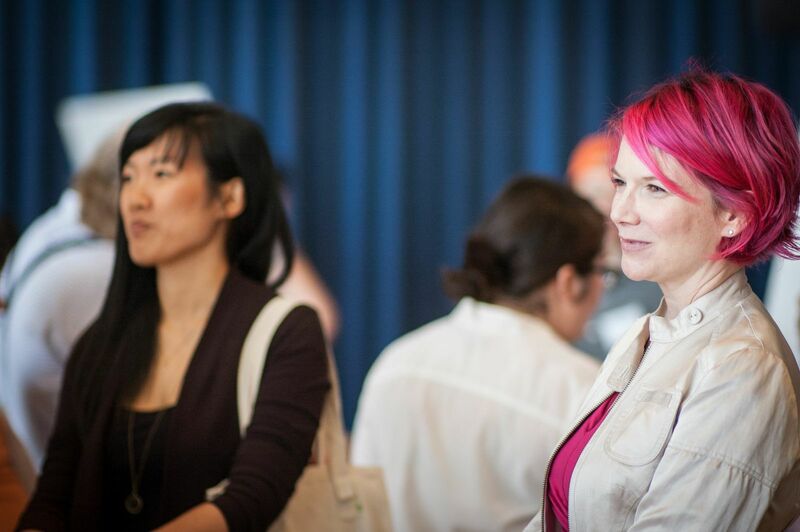 All photos were captured by Patrick Tran. For more images from the event, visit this photo album. About the author: Anthony Martin received his Ph.D. in Genetic, Cellular and Molecular Biology at USC and is self-publishing a cookbook of his favorite Filipino dishes. About the author: Liz Roth-Johnson is a Ph.D. candidate in Molecular Biology at UCLA. If she’s not in the lab, you can usually find her experimenting in the kitchen.